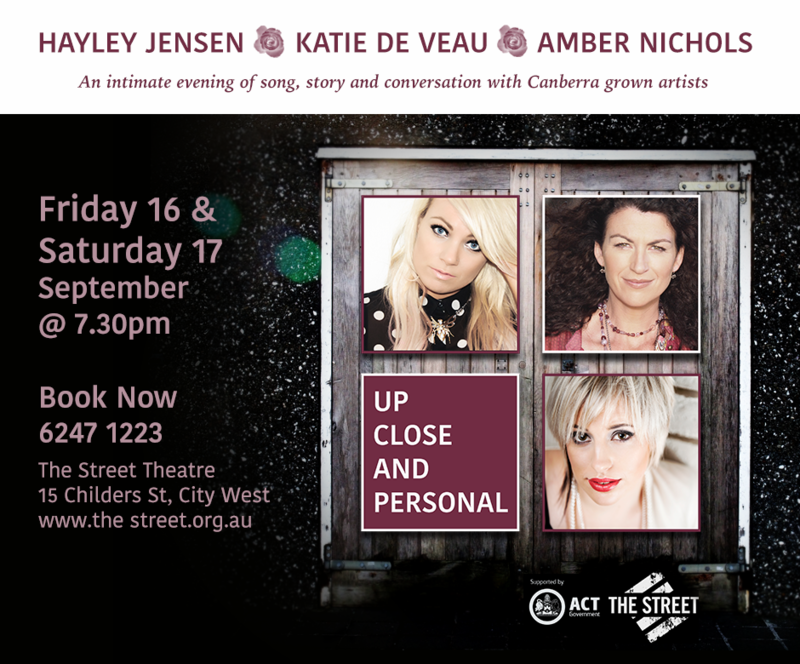 The Up Close and Personal Concert is an intimate evening of song, story and conversation with Canberra grown artists Hayley Jensen, Amber Nichols and Katie de Veau. Musicians who have stood the test of time, these artists offer an evening sharing their journeys. Amber Nichols is a breathtaking artist known for her emotive tone and her five chair turn on The Voice Australia. Hayley Jensen, of Australian Idol and The Voice Australia fame, has shown her longevity and dynamic talent as a singer song writer with her latest single “I’ll Always Love You” racing up the Australian Country Music charts. With over twenty years in the industry, Katie de Veau is an award winning artist who released her fourth studio album this year, and brings her story telling and inspired vocals. “Up Close and Personal offers a unique opportunity to hear these three remarkable artists together in a stripped back intimate show.